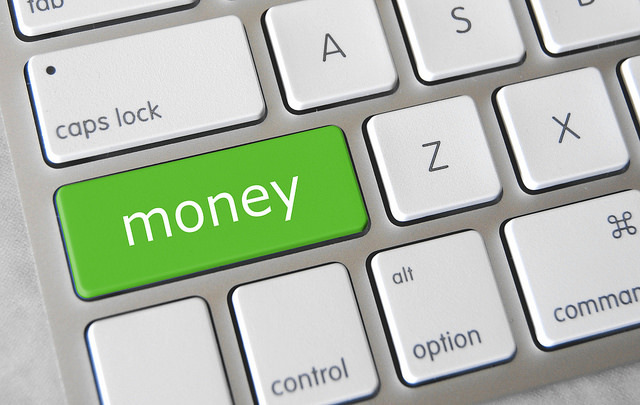 It’s way time I updated this post about money transfers. Let me get straight to the point. Do you like throwing good money away? Of course not! So why on earth don’t you use the same money transfer service as I do – TransferWise? Okay, let me tell you why I updated this post. Last Friday, April 29, 2016, I had to transfer a small amount of money from my UK bank to the Philippines. I am retired and an expat living in the Philippines so I have need of money transfers on a regular basis. OK, so Friday I was concerned as I was about to transfer a small amount – about £150, Pounds Sterling or GBP. I checked with World Remit and they wanted a fee of £6 and the exchange rate was about 66 pesos. PayPal wanted $8 and the exchange rate was about the same, 66 pesos to the £. I went to the TransferWise site and entered the same transfer amount. They charged me £2 and I got an exchange rate of 68 pesos! I really cannot understand why you guys (and gals) are taking no notice of what I’m saying. Maybe you like being overcharged? Please yourselves – here is the link to transfer your first international money transfer up to the value of £1500 (about $2,250) FOR FREE if you click here. I said or rather shouted FREE! Do you want to make an international money transfer for FREE? Well, now you can. TransferWise will not charge you for your first international money transfer up to the value of £1500 (about $2,250) if you click here. Money and access to it are arguably the most important issues in the life of any expat. We all need the folding stuff, right? And, no hassle in getting what’s ours to start with. My travels in Asia started off in 2013 in Thailand, and I lived there for the best part of 2 years before settling down in the Philippines. I used all methods and companies to transfer my money. The banks, Western Union, World Remit and Moneygram included. Finding TransferWise earlier than I did would have saved me a bundle in currency conversion rates and exorbitant charges. Whether I am transferring my monthly pension to my Philippines bank from the UK or shifting smaller amounts, TransferWise is inexpensive and superbly efficient. And I can transfer from my desktop or the app on my phone. The company was born out of frustration. Sending money abroad is deceptively expensive, thanks to the hidden charges we’ve all been forced to pay. The banks claim “free money transfers”, “0% commission.” Sounds like money’s already flowing freely, but far from it. It’s pure propaganda. Taavet had worked for Skype in Estonia, so was paid in euros, but lived in London. Kristo worked in London, but had a mortgage in euros back in Estonia. They devised a simple scheme. Each month the pair checked that day’s mid-market rate on Reuters to find a fair exchange rate. Kristo put pounds into Taavet’s UK bank account, and Taavet topped up his friend’s euro account with euros. Both got the currency they needed, and neither paid a cent in hidden bank charges. “There must be others like us,” the epiphany went. And the rest is TransferWise. TransferWise is backed by a fantastic team of smart investors who believe that there’s a dire need for innovation in financial services. In addition to some great institutional investors, we’re supported by private individuals who founded or are building Virgin, PayPal, Skype, Betfair, Simple.com and others. The Virgin reference is of course to Sir Richard Branson. I’ve never known him back a dud. TransferWise operates in the UK, USA and many EU countries. It is registered with all the appropriate financial services watchdogs and regulators. Pinoys don’t feel left out. There are many Filipino OFW’s who need to send remittances home. Why use the expensive methods. Try TransferWise! Still not convinced? Read the reviews on Trust Pilot. I only recommend a product or service I believe in. I have used TransferWise for the past nine months now, and they beat all the others hands down! I recommend TransferWise – I use it and swear by it! This company is worth sharing. Give them a try. I guarantee you will be impressed. This tip ought to save you bundles of cash so if you bump into me some time mine’s a San Mig Pale Pilsner! PS STOP PRESS – The good people at TransferWise will give you a FREE money transfer the first time you use the service for up to £1500 (about $2,250) if you click here. Disclosure: I use it and was so impressed I asked them if I could earn a small commission by recommending the service. They said. “Yes.” The small amount I earn is not added to the cost of your transaction.